40grams – up on last month. I let myself down a bit this month by being unprepared – I came back from some time away and was out of dogfood, it was late and they didn’t have biscuits at the dairy so I got a dogroll for Ella. I also accepted some crayfish that a student gave me after dropping her home, and then after removing the whitebread plasticbag that it came in, passed it on to a good friend. It’s a little bit frustrating that other plastics are still working its way out of my household from last year. My bathroom is MUCH less… plasticky (?) than it was in January. There are, however, a couple of items (mostly gifted stuff from previous years), that, with my heightened awareness of toxins, I will likely NEVER use, so I can’t see the point in holding on to them, and can’t repurpose, but hate to just throw them into the wastestream. To be honest I feel a little guilty re-gifting them too. 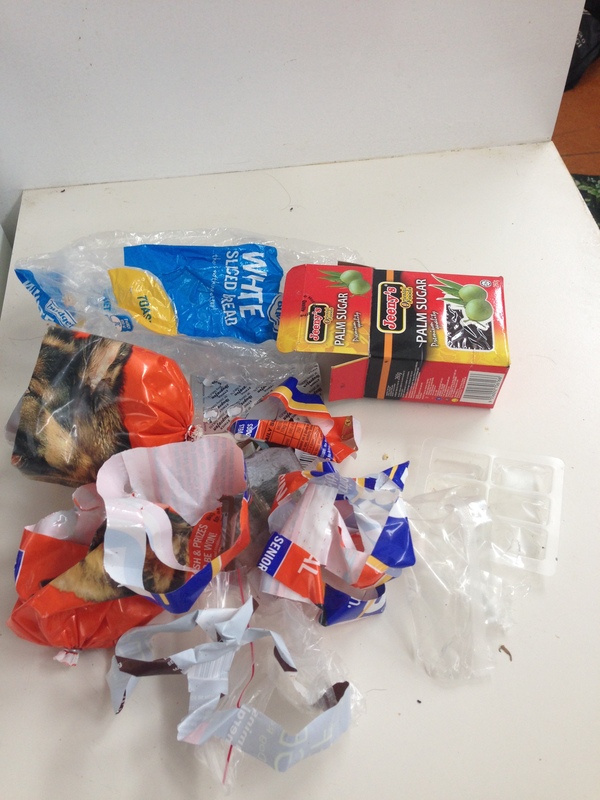 So… I need to make my mind up about throwing this stuff into the wastestream – or giving it to someone. Maybe I’ll send it all to Simon Bridges. He’s quite fond of pollutants. It’s been a BUSY month. Fighting petroleum/oil drilling in our region – TAG oil, to be specific, thanks to good old Simon Bridges, has been granted exploratory permits, and after a VERY lacklustre consultation process our local council granted them resource consent to begin drilling. They only had a few weeks within which they could drill (they’re not allowed to drill in the winter months) – so we scrambled and searched for ways to hold them off until this week. First act of resistance… was karakia. We went to the drillsite, connected to the whenua, and offered karakia to Papatūānuku for her to prepare herself for what was to come. This was not for the oil companies – this was between us, and our whenua. We prayed to her so that she could prepare herself, and we prayed to Ranginui for more rain (because they couldn’t build their drilling platform or ford when it was raining). Some of our akonga were confused, they thought we were going there for a protest against the oil company. It opened the floor for discussing the many different forms of resistance and activism. Just holding hands and giving everyone a space to discuss their hopes, and offer their own prayers in their own way, is a potent act of resistance. Well, must have been… the following two weeks saw TORRENTIAL rain, a couple of cyclonic weather patterns, and high enough water flows to hold them off. We now have a few months to formulate a call for a review. Also spent this month putting together a presentation for WIPCE, in Hawai’i – where I’ll be speaking on the environmental degree I’m very blessed to be given the task to facilitate and deliver. Well, environmental sustainability, governance, leadership, succession and resource management degree (or we can just call it a kaitiekitanga degree). Was also attending to my own studies, and delivering another presentation at the National Permaculture in New Zealand Hui. Ahhhh such a beautiful group of people speaking my language of connectedness, progression, care for Papatūānuku and interdependence. Very empowering, and soul-nourishing weekend there. 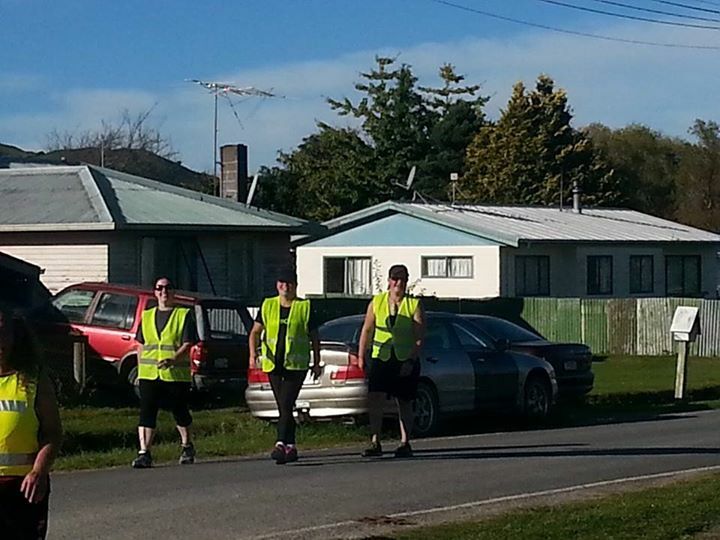 Then back home, tutorial, and then off to run the Tū Marae challenge – great team-relay from Takipu Marae to Mangatū Marae – 20km all up. Wonderful day – 154 competitors ranging from 8 to 80 years. Loved seeing all the beautiful whānau teams especially all the nannies and koros running/walking with their lil mokos beside them. Too cute. I got the 5km hilly run leg. Hard work but great to connect with the whenua that I usually drive through. Even got to pick up some plastic along the way. And so, in keeping with my own doctrine of loving yourself so that you can care for others, I had to take some time out to just catch my breath when I got back home this past week… which meant hanging out with Ella and Benny, and tending to my treehouse.